SCADALink LocatorFind wellsite locations anywhere in the four Western Provinces of Canada using LSD / DLS, BD NTS, UWI and Lat / Lon. 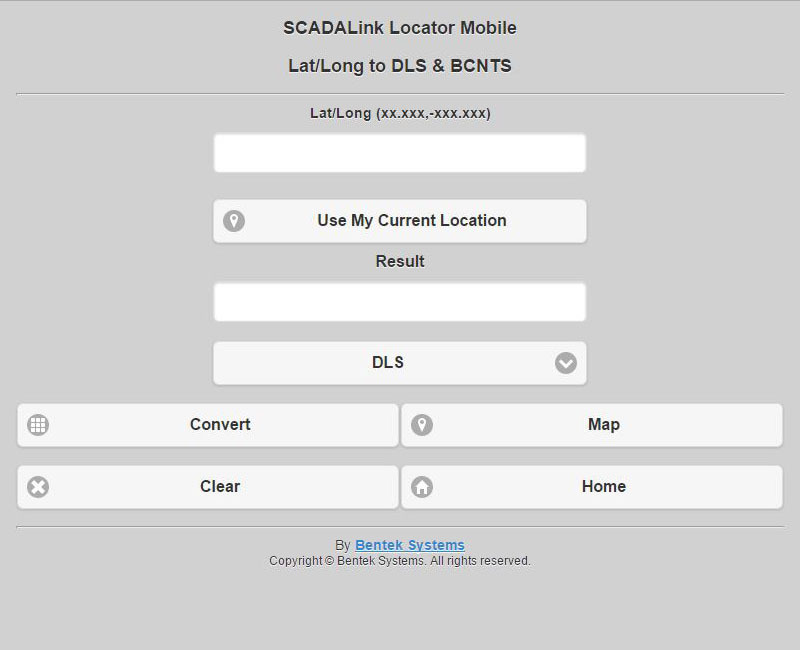 SCADALink Locator MobileIntroducing our FREE LSD / DLS, BC NTS to Lat/Long conversion service with Google Maps integration. Optimized for Android, iPhone, iPad and Blackberry. Coordinate ConversionConvert between DLS/LSD, BCNTS, UWI and Lat/Long using standard surveyed grid points. Location ManagementCreate, read, update and delete locations in a searchable database. Google Map IntegrationView Google Maps with plotted locations created from converted coordinates or locations stored in the database. 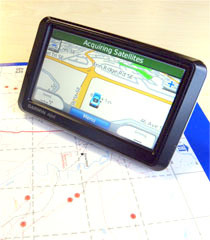 GPS Coordinate FilesIndustry standard GPX format and Garmin GPI format for use with mobile GPS applications and devices. GIS and GPS ApplicationsGarmin nRoute, Garmin Mobile PC, Google Earth, ESRI ArcGIS Explorer and others. SCADALink Locator Mobile is a web application for converting LSD / DLS or BC NTS coordinates to Lat / Long and mapping the location in Google Maps. It allows users to find locations anywhere in the four Western Provinces of Canada. SCADALink Locator Mobile is optimized for use with smartphones and mobile tablets such as Android, iPhone, iPad and Blackberry. Use of SCADALink Locator Mobile combined with applications such as Google Navigation and Garmin helps field workers locate oil and gas sites. 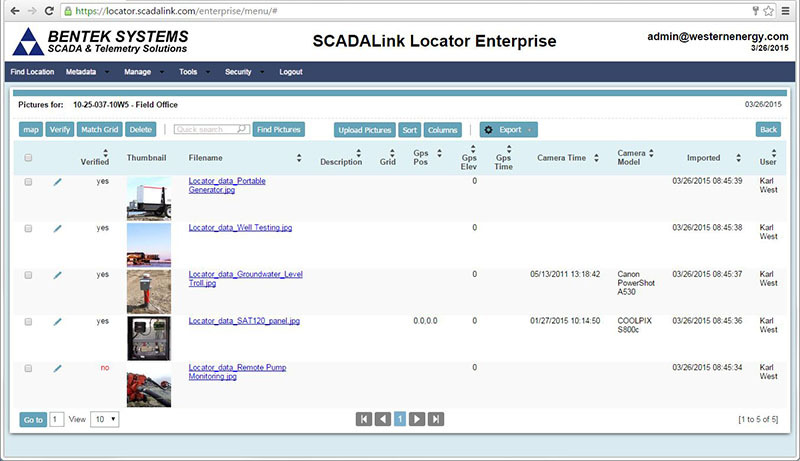 SCADALink Locator Enterprise adds location management features to the SCADALink Locator to enable field workers to save and share location information among enterprise team members. 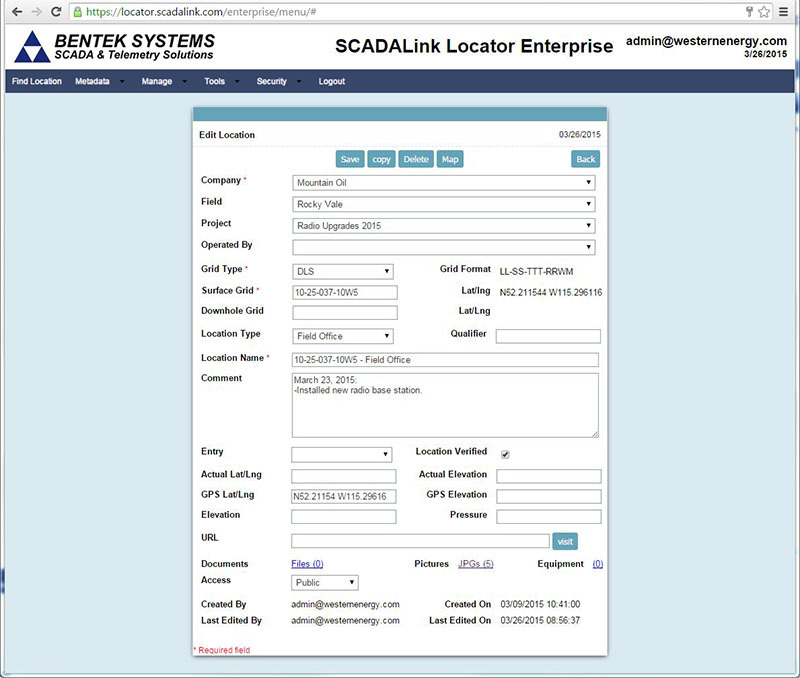 Bentek Systems, the developer of SCADALink Locator is a leading provider of Wireless SCADA & Telemetry Solutions for Remote Monitoring and Control of Oil and Gas Sites. 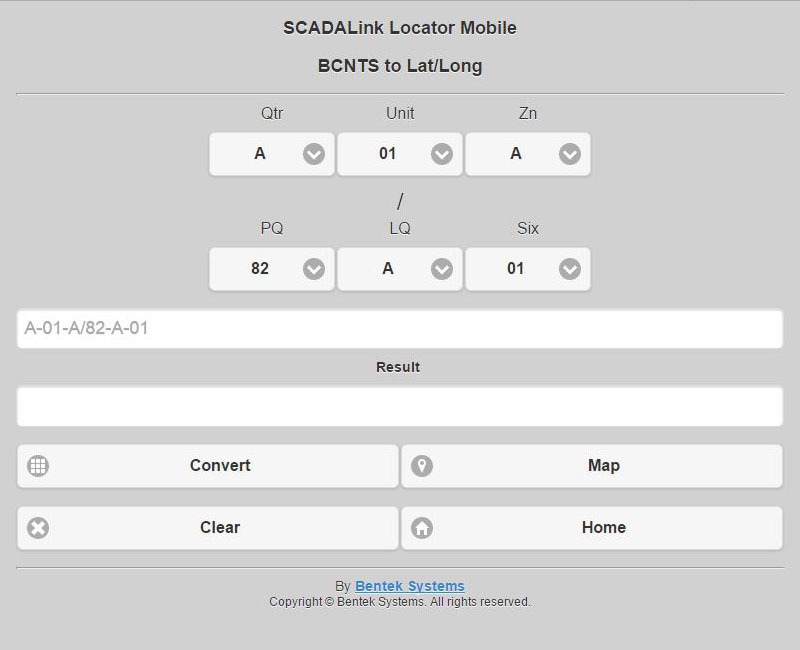 Bentek Systems’ SCADALink Locator services include batch coordinate conversion and mobile database applications development. SCADALink Locator is a cost-effective PC based software solution for coordinate conversion and mapping in Alberta, British Columbia, Saskatchewan or Manitoba. It is designed to assist field and service personnel find locations efficiently. Typical applications include Oil & Gas Operations, Oil & Gas Field Service, Engineering, Agriculture, Forestry and Surveying . SCADALink Locator Desktop is the original SCADALink Locator product and operates offline. Increase your operation efficiency with the powerful data management system integrated directly in the SCADALink Locator. 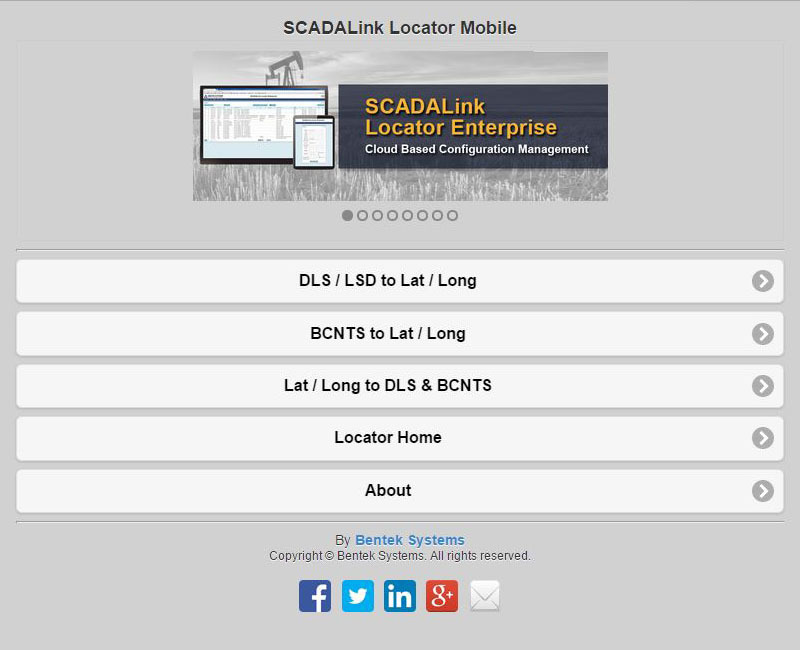 SCADALink Locator makes the sharing of well site information very easy. Well location information can be exported and distributed so that everyone in the company has the most up-to-date information. Locator Enterprise can be used in applications such as Oil & Gas and Pipelines Operation or Service that need to manage information for a large number of field locations. Locator Enterprise includes coordinate conversion and mapping in Alberta, British Columbia, Saskatchewan or Manitoba. It is designed to assist office, field and service personnel find and manage locations information efficiently. Typical applications include Oil & Gas Operations, Oil & Gas Field Service, Engineering, Agriculture, Forestry and Surveying . 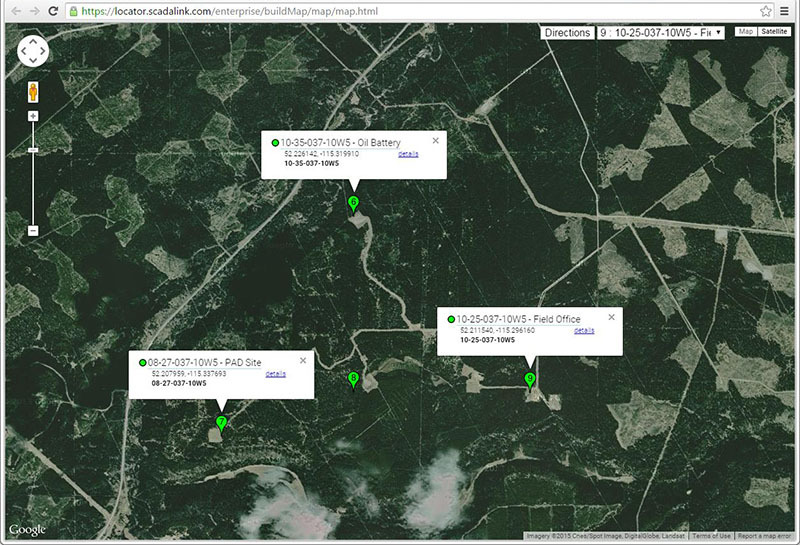 Map Sites based on Search Criteria Including Company, Field, Site Location, Project, Location Types. Maps Grid Centre, Survey Location, or GPS Location. Helps decide driving directions and travel planning. 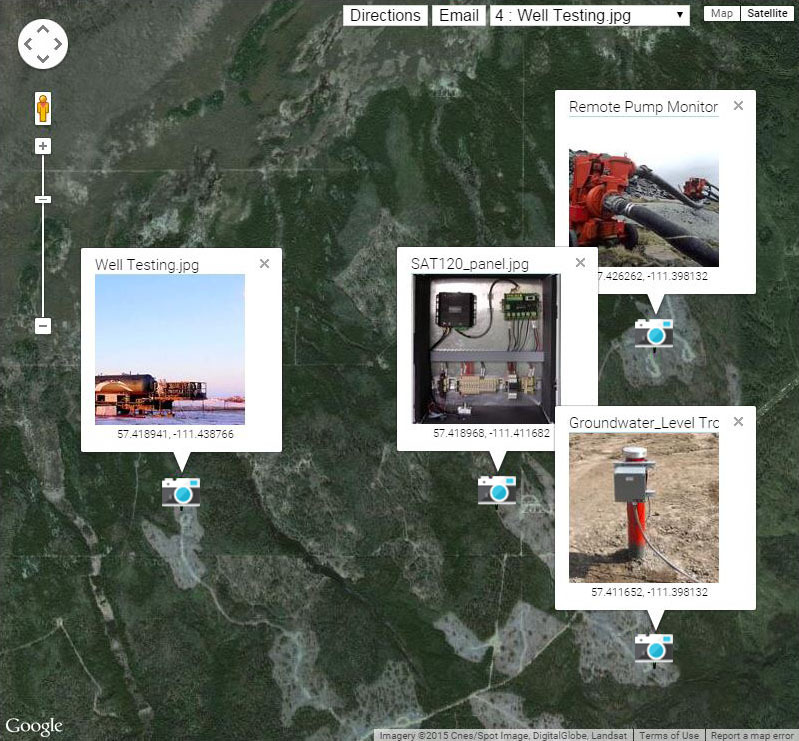 Use as a dashboard for Field Site Information Management of Large Distributed Sites such as that used in Oil and Gas & Pipelines. Map Grid Locations on Google Maps. Generate Lat/Lng for use in GPS (GPX & Garmin Formats) and Other applications. Convert Lat/Lng to Grid Location (DLS, BCNTS). Use this with Geo-Tagged Images to Associate and Store Images with Oil Field / Rural Site Locations. Share location data between all users in your organization. Users can be in the Office, Field, or at Home. No delays in sharing data. Data is immediately accessible. Files are saved and searched by Location or Project. All file types supported. Relevant documents can be archived and shared for rapid access. Archive JPEG Images and file and searched by Location or Project. Image thumbnails help rapidly browse images. Meta-data from JPEG Images extracted and saved to help with image management. Image with Geo-tagged and mapped on Goggle maps. Images can be used for site audits and survey. Image Gallery Mapview allows rapid browsing of images at a specific location. GPS Camera Location Mapping assist in understanding context of image. Find image by location. Save Equipment Manufacturer/Supplier, Model, Serial Numbers, Data Sheets, and Drawings. This is valuable for site maintenance, audits, and surveys. Web Links are saved. This can be used for quick reference to associated web resources. Locator WS is designed for users that need to add LSD, BCNTS to Lat/Long conversions to their Enterprise Applications. Locator WS allows DLS/BCNTS/Lat/Lng conversion calls directly from your own application. Locator WS is a collection of REST web services hosted by Bentek Systems that you can call from your thin or thick clients. You will be provided with the URLs of these services and basic authentication credentials that are secured with SSL. 1. Built on Locator Web Service that can be purchased if you would like to develop your own app. Maintain a database for office staff. The location information can then be shared with contractors and remote field offices. The SCADALink Locator is the perfect solution for Field Service companies that would like a database to manage clients’ field locations. 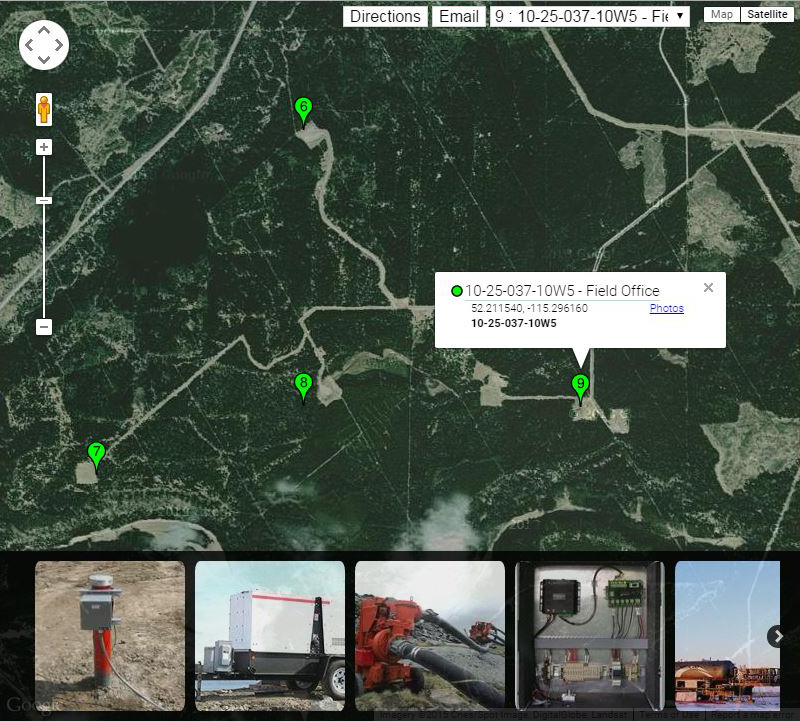 The SCADALink Locator provides your operations with up-to-date field information by exporting and transferring new well information to technicians. All employees and contractors can now share information easily. 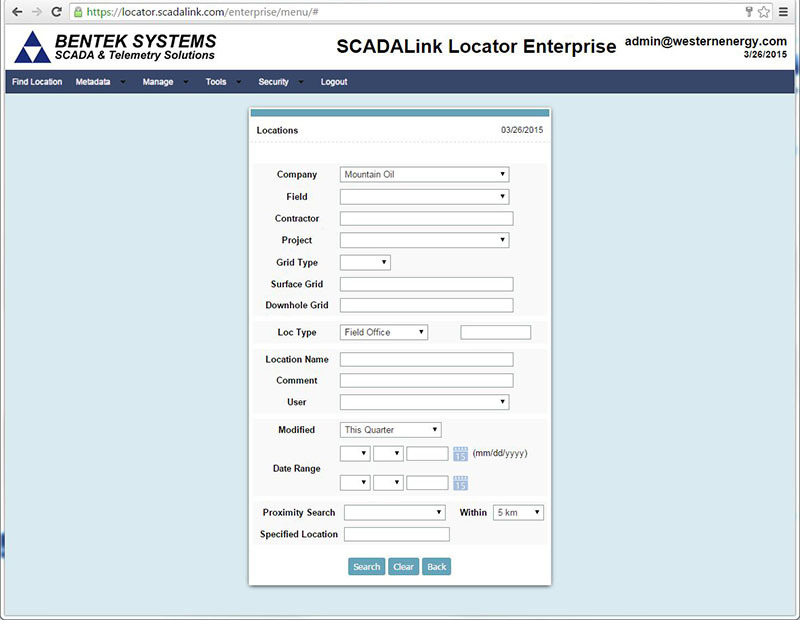 Estimation and work planning is made simpler with the SCADALink Locator. LSD/DLS, BC NTS or UWI field locations are converted and displayed on popular mapping programs such as Google Maps and Garmin, making logistics decisions much easier. Locator Mobile is a free web application for use what works on web browsers on computers, laptops, tablets and smartphones. It does not work offline or provide location database management. While Locator Mobile is free to use, Locator Desktop offers more features. The cost per installed computer is $375 CAD for Locator Desktop. Quantity discounts and site licensing options are available. Locator Web Service – $250 per month. Make DLS/BCNTS/Lat/Lng conversion calls directly from your own application. This is a collection of REST web services hosted by Bentek Systems that you can call from your thin or thick clients. You will be provided with the URLs of these services and basic authentication credentials that are secure with SSL. Your application can call our API directly using a library of functions and an embedded database of surveyed locations. This is the basis for all Locator applications and permits your application to be used without internet access. Fully documented with a working example and technical support. Locator API is installed on customer’s server/computer systems. A multiuser web application to archive, manage, search and map location based information including data, files, and photos. Can be purchased as shared or dedicated hosted system or installed with customer owned server. For clients with a need to convert a large number of DLS and BC NTS coordinates to Lat/Long coordinates, Bentek Systems offers custom coordinate conversion services. 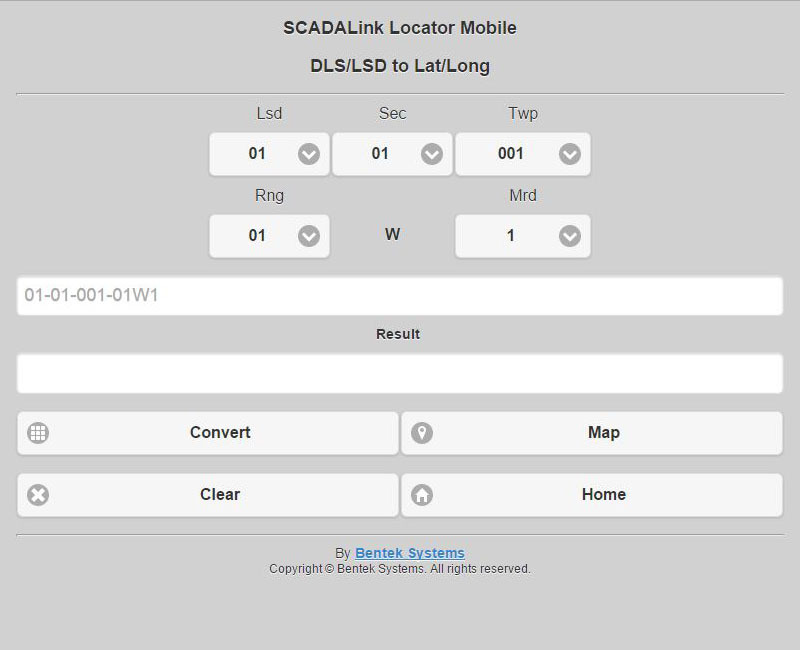 With SCADALink Locator assisted with custom format conversion, Bentek Systems has provided batch conversions for various clients; one of which includes the conversion of a large database of over 30,000 DLS to Lat / Long coordinates.